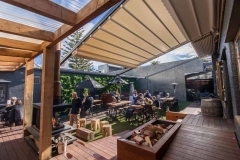 Hide Bar located in Mount Maunganui New Zealand or the "The Mount" as known by locals is a peaceful beachside town that that sits on the peninsula at the southern end of Tauranga Harbour just 3hrs from Auckland. 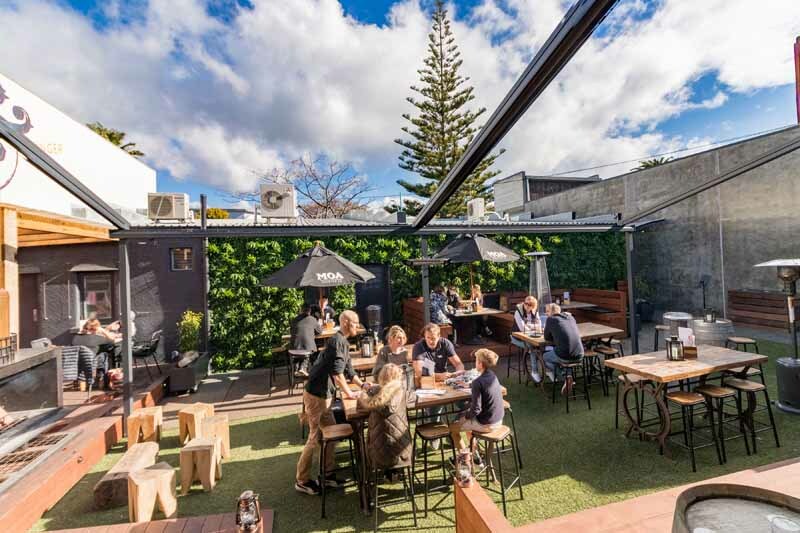 The mount is named after the distinctive peak - Mauao – that sit’s 230m high on the end of the peninsula that can be seen from everywhere in town. 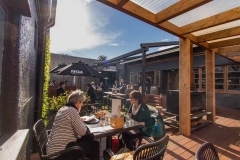 The bar itself is tucked away in a rear lane just off the main drag and offers somewhere off the high street for a catch up with friends is a really classy atmosphere. 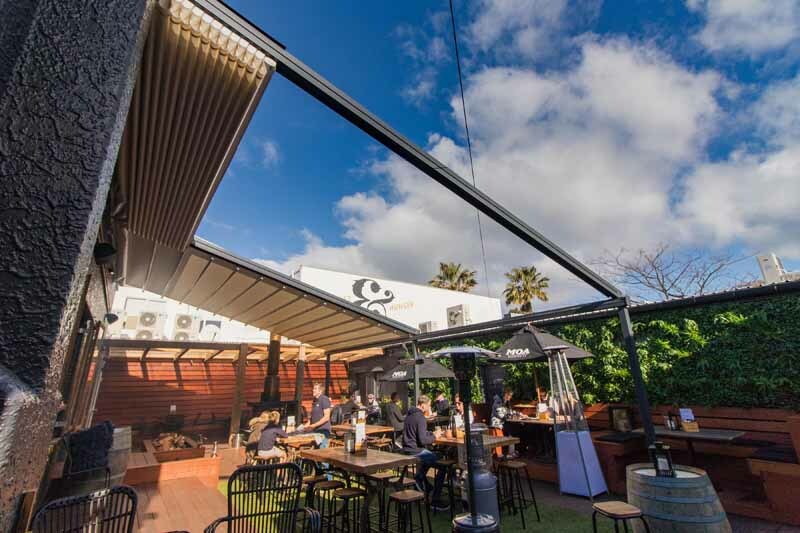 Offering a range of drinks and food the space is indoor / outdoor and thanks’ to the fantastic Helioscreen retractable roof systems covering the alfresco space can be utilised at any time. Even on a winters day when you enter the courtyard your greeted with an amazing open outdoor fireplace to warm you from the inside. Weather your looking for a classic ale or perfect bottle of wine the Hide Bar can impress rain, hail or shine. 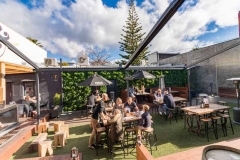 They are NZ's first Moa bar with a full range of tap beers featuring the classics as well as seasonal and interesting creations from New Zealand's largest locally owned craft brewery. 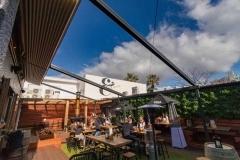 The wine list is a like a greatest hits selection of the best wines from around NZ and the world and we have had some local gurus create a cocktail list that has a little something for everyone. If you want to check out the bar or the retractable roof systems next time your in town drop into 147b Maunganui Rd Tauranga.